For the Labor Day holiday, I thought I'd reshare the below poems and music. For those uncertain as to the origins and intent of this holiday, these should help clarify. 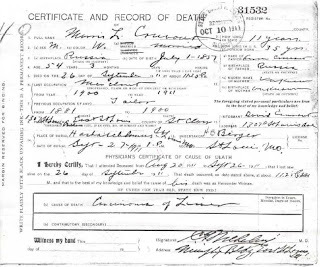 This week I transcribe the death certificate of my second great grandfather, Moshe Leyb (Morris Louis) Cruvant. Witness my hand (signature) illegible Address: (illegible) Bldg, East. St. Louis, Ill.
1) The first thing I do when looking at a certificate is look for obvious errors. He was born in Lithuania, though from 1795-1918 it was under control of Russia, so Russia is accurate for his birthplace. Though there is a place on the form where indicating age to include number of days, his age was rounded up to the next month. It should say 54 years, 2 months, 26 days. It's questionable whether he had been in the US for 35 years. That would mean an immigration year of 1876 at age 19, which isn't impossible, but his eldest son who was born about 1883 is believed to have been born in Lithuania. It is believed they were in the US by 1886/7 when my great grandmother was born. Perhaps 35 should be 25. 2) I like that there was a question for both Occupation and Previous Occupation. I don't see that on many death certificates, and it provides a year for when he changed professions. Of course, the accuracy of the years is completely dependent upon the memory of the informant, his second eldest child. In this case, the city directories confirm the dates. 3) The place of burial isn't a truly horrible spelling for what I am sure whoever wrote it down heard. They probably didn't ask the informant how to spell it, because I suspect he could have done a better job. It should say: Chesed Shel Emeth. 4) The only facts on a death certificate for which I consider the death certificate a primary source is the Date/Time of Death, Place of Death, Cause of Death, and Place of Burial. That is, I trust the recordings of the doctor and undertaker. For the rest of the information I take into consideration who the informant was, and how much they are likely to know. In this case, the informant being his son, 26 years old at the time, the reliability is pretty good. 5) Since he died on the 26th of September, 1911, after sunset, that converts to the 5th of Tishrei, 5672, which corresponds with what is inscribed on his tombstone. My wife and I were watching the Who Do You Think You Are episode with Valerie Bertinelli. Ms. Bertinelli learned she had King Edward I for an ancestor. As the historian was telling her all about the great things King Edward, or Longshanks, did for parliamentary democracy, my wife had a very different reaction. 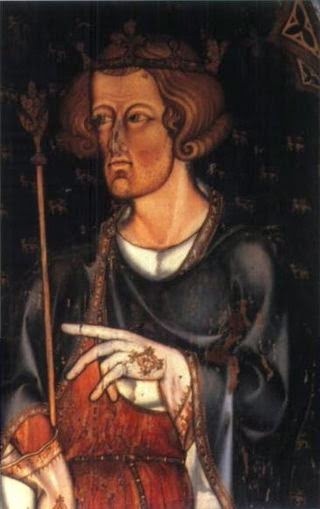 Another nickname for King Edward, besides Longshanks, was Hammer of the Scots. My wife's maiden name is Wallace. Some historical figures have both positive and negative associations - depending upon who you are. People will react differently to discovering they have a particular US President in their family tree. There are Romanians who count Vlad III, Prince of Wallachia, aka Vlad the Impaler, as a national folk hero. I'm sure my wife hopes Valerie Bertinelli, and her family, are able to focus on the good things King Edward did, but she is happy we haven't found Edwardian ancestry for either of us. 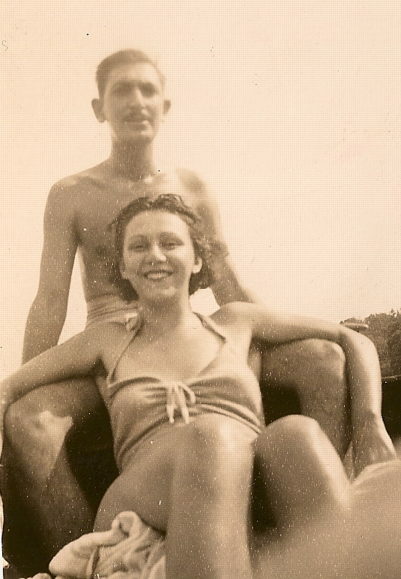 Today my grandmother would have turned 100. Below are some photographs. 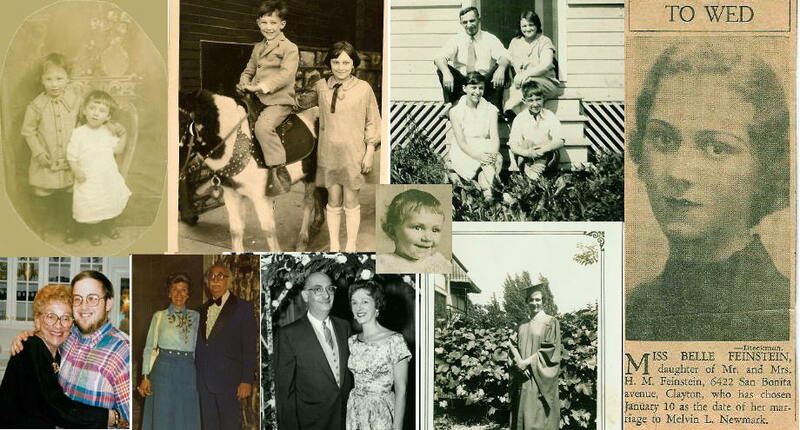 Top L-R: With her brother, Ben; With her brother, Seymour (Babe); With her parents, Herman and Annie, and her brother, Seymour. 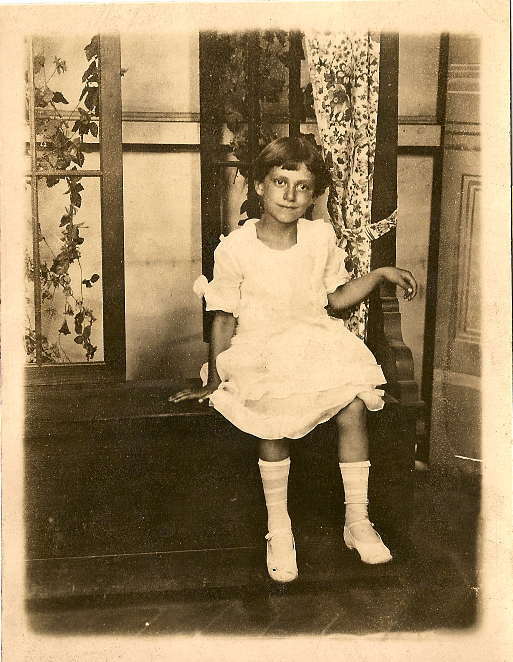 This week I transcribe two obituaries for my wife's 3rd great grandmother, Caroline Mathilde (Ruffert) Schrock. 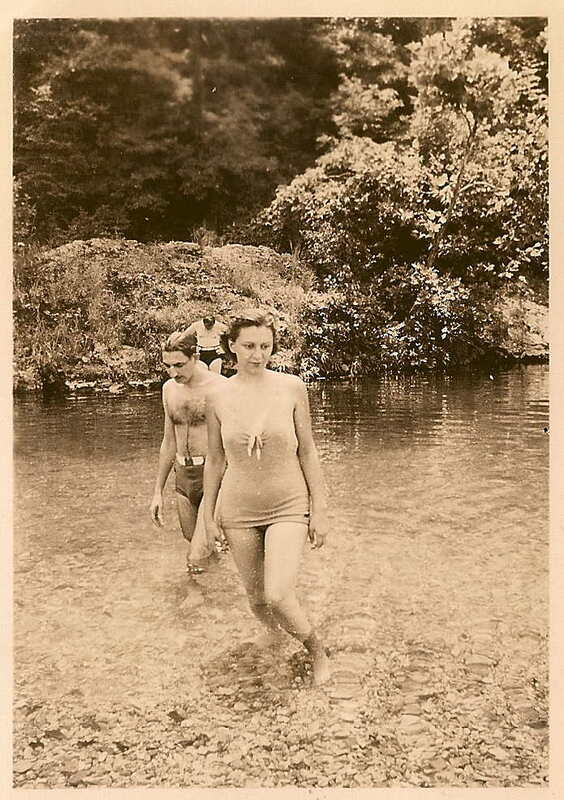 Well-Known Woman, Born in Germany, Lived in Missouri 55 Years. Mrs. Caroline Mathilde G. Schrock died at the home of her son, Berthold Schrock, at Scopus, Mo., on July 17, at the age of 97 years. Mrs. Schrock was the wife of Anton F.J. Schrock who died at their residence near Marble Hill on the 8th day of June, 1900. After the death of her husband she made her home with her oldest son, near Scopus. She was born Nov. 14, 1817 at Neurode, Silesia, Germany. She was married on Feb. 7, 1843, and emigrated to America in 1852. They came to Missouri in 1860 and located on a homestead near Marble Hill, Bollinger County. Seven children were born to their marriage, all of whom survive their parents. The children are: Berthold Schrock, of Scopus, age 71 years; Charles Schrock of Cape Girardeau, age 69 years; Cecilia Brodtman, of Cape Girardeau, age 65 years; Mary Kamp, of Burfordville, age 63 years; John Schrock, of Morley, age 61 years; Hedwig Schwartz, Lentna [?Lentner], Shelby County, age 59 years; Albert Schrock, of Marble Hill, 55 years. She is also survived by 36 grandchildren and 67 great grandchildren. Mrs. Caroline Schrock died at Scopus, Bollinger county last week in her 98th year. She was born in Germany and settled where Marble Hill now is in 1860. Seven children survive her, the oldest being 71 and the youngest 55. There are 36 grand children and 67 great grandchildren. 2) A simple internet search leads me to the immigration date October 3, 1853, on the ship, Marianne. So the obituary appears to have been off by a year. 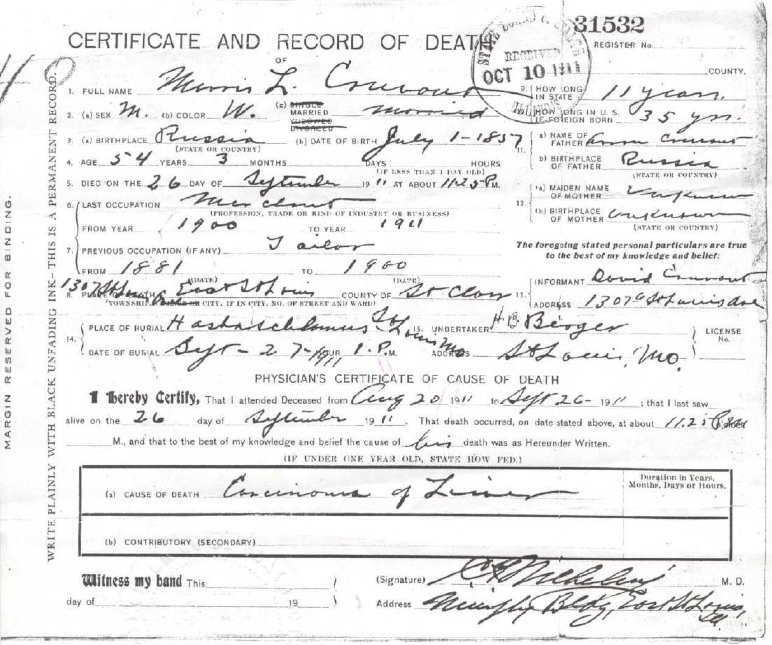 The death certificate for John Schrock, my wife's great-grandfather, says he was born in Baltimore, Maryland. However, the manifest transcription states they were headed for Cincinnati, and Albert Schrock's death certificate states he was born in Cincinnati. So it appears they spent time in both Maryland and Ohio before moving to Missouri. Mary isn't listed on the manifest, however, her death certificate states she was born in July of 1852 in Germany. If the date of birth is correct, it's possible children under a certain age weren't listed on the manifest. It's also possible the date of birth on her death certificate is wrong, and perhaps she was named after the ship.